Wednesday, as you already know if you’ve been reading thus far in my journey, is my fav day of the week. And even though I woke this morning feeling unwell, I’m not gonna miss Woman Crush Wednesday. Especially when this week’s honoree is the phenomenal Domini Kemp. 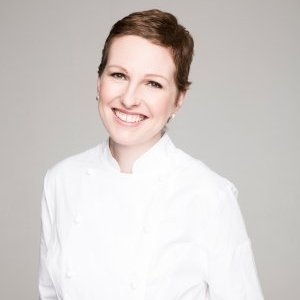 Besides being a fabulous chef with award winning cookbooks, numerous successful restaurants, as well as her acclaim as an adored food journalist, Domini also embodies the term Wonder Woman. She is a fighter with finesse and female fortitude. I think there is nothing that she couldn’t achieve or overcome. She quite frankly deserves to be the Woman Crush Everyday! 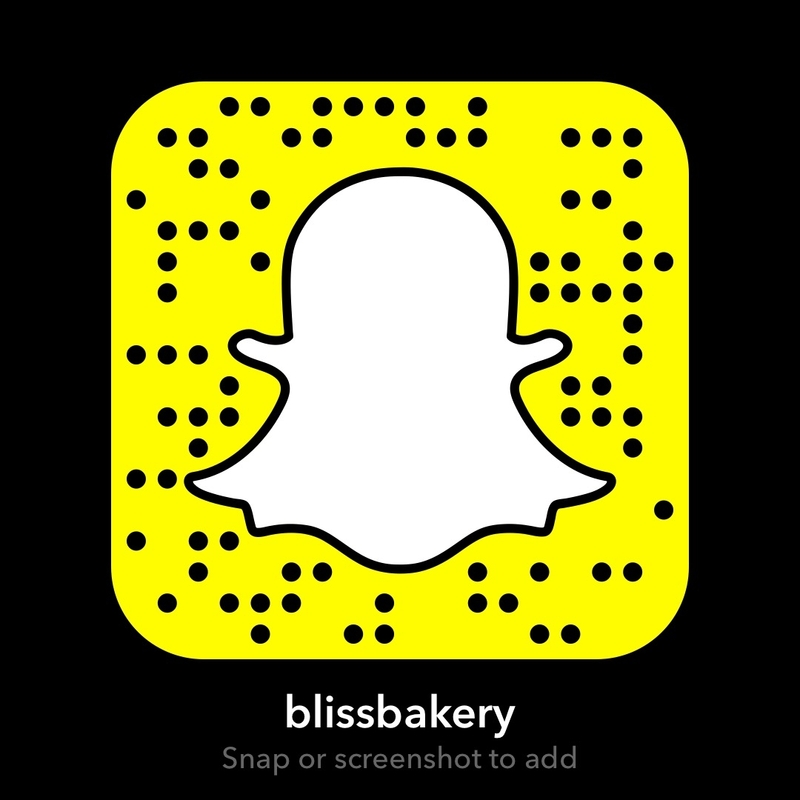 While I have made many of Domini’s recipes over the years, all with great success, for #WCW I always do a recipe I’ve never done before and I do it live on Snapchat (my username is: blissbakery). 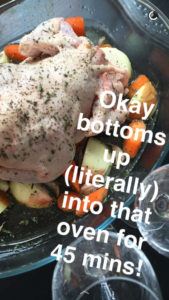 Since I have never tried her Roasted Chicken recipe and it looks unique I had to give it a go. First off, you start cooking the bird breast side down which I have never done. And on the ingredients list, two glasses of white wine. Not for the cook to drink but for the chicken to bathe in, sounds interesting! We love to have left over chicken in the house for salads and sandwiches so this will be a hit, especially because my dog Stella loves to have a bit too! Preheat the oven to 190 degrees/gas 4. Make a bed of veg by putting the garlic, carrots and onions in the middle of a roasting tray. I sometimes slice one head in half, horizontally, and leave the cloves of the other head loose, but unpeeled. Place the chicken breast-side down (yes, upside down) on top of the veg. Then stuff the lemon halves into the chicken. Pour the wine over it and then season generously with thyme, salt and pepper. Roast for about 45 minutes. Take the roasting tin out of the oven, flip the bird over and squeeze some honey on top. Season again and cook for another 15-20 minutes. At this stage, take it out and leave for a few minutes. Give the legs a wiggle: they should move about freely. If you aren’t sure, slice between the leg and the breast. Check what colour it is. It shouldn’t be too pink, and the juices should definitely be clear. I like to leave it covered in foil or in the oven – which has been turned off – to sit for at least 30 minutes before carving. The roast bits of veg are an added perk. But if you can, strain some of that delicious jus at the bottom of the roasting pan, which you can always deglaze with a little water. This is usually tasty enough on its own, with no adornment, but you can also transfer it to a smaller saucepan and simmer away till it’s nice and rich. If you must, add some “beurre manie” which is equal parts butter and flour (just a spoonful of each) which you can chuck in as it will help thicken and emulsify it. Add some more honey or wine depending on what it lacks. Simmer until everything is just as it should be. Once you have eaten your fill and just have bones left, put all those bones into a suitably-sized saucepan, fill it with water and gently simmer for as long as you can. I sometimes only manage three hours before bed time. Go fishing for the bones and discard. Strain it through a colander and then cool it down. I do this by sitting the saucepan in a sink full of cold water to make a water bath. 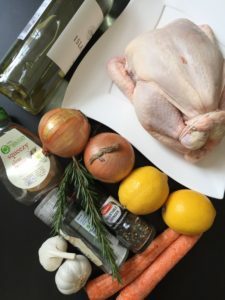 You just want to cool it down so you can then transfer it to the fridge and have it to use in your soups or as a nourishing broth on its own for the week. Wow I am so glad I made this dish! 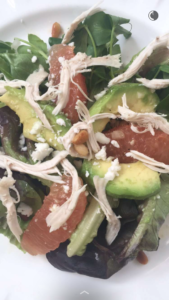 The house was in heaven because it smelled so amazing, Stella was in heaven because I gave her a few bits, and I was in heaven because I had the most moist and flavorful chicken on my salad for lunch. I put together a salad of mixed leaves, grapefruit, avocado, toasted pine nuts and goats cheese. The subtle lemon, garlic, and herbs that came through in the chicken was just the right touch. Now when Hubby gets home we can have a roast chicken dinner with all the trimmings too! And there will probably be some left for a chicken sambo for lunch tomorrow. That is the beauty of a roasted chicken, it’s the dish that keeps giving! And speaking of giving, I want to give Domini kudos for her latest book called Ketogenic Kitchen. It is a book she cowrote with Nutritional Therapist Patricia Daly and is based on a high fat and low carb diet. Domini credits this way of eating for helping her regain her strength and energy while overcoming cancer. 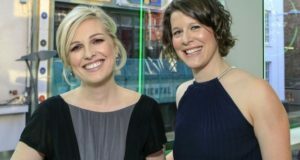 They are currently on the press tour for the book (you can read about it at Domini’s former journalistic home The Irish Times). They also have a website (click here) which offers recipes, videos and information about this type of metabolic therapy. 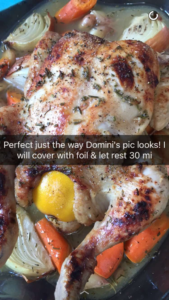 I can only imagine the stress that Domini had to deal with during her health struggle while she continued to run her businesses, work on her food writing, and look after her family. But she managed to do it all with grace and openness. 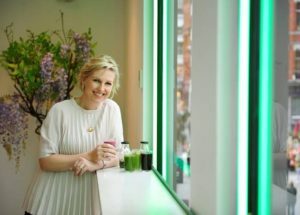 Besides sharing her incredible recipes, she also wrote many candid articles in her eight years with The Irish Times, including her final one this past March. And while I do miss seeing her in that realm, I sense that wherever Domini gets involved she will make that part of the world a bit better. And so for her new projects, like helping people to heal through food (such as Alchemy) I wish her all the best. 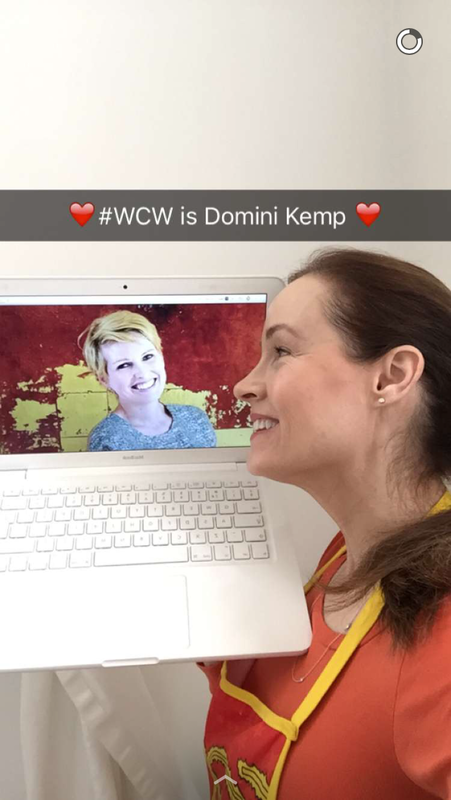 Thanks Domini for being the amazing person you are! Not only in the foodie world, but the the global world. You are an inspiration for life! Will have to try this. We do our turkeys breast side down. The juices from the dark meat keep the breast meat nice and moist.